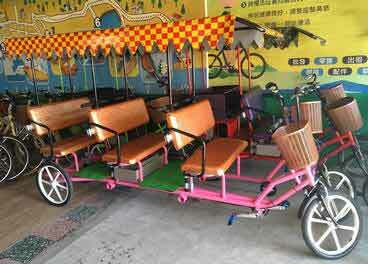 ﻿ 4 person Electric motor Quadricycle,Electric motor Surrey Bike,Electric Rickshaw,Surrey Bikes,Made in Taiwan. 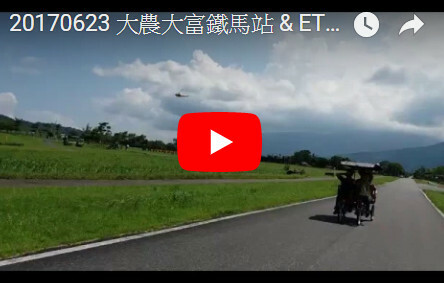 Here, you can find the videos for ETC-400 Electric Surrey Bike Videos. These videos were shot in Taiwan. Friends or Classmates have a chatting and sightseeing at the same time. 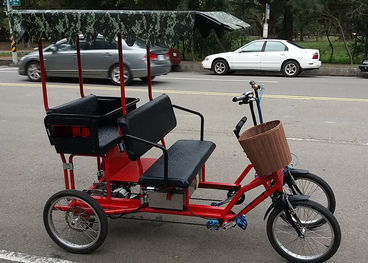 Easy to travel is the best benefit for this Electric Surrey Bike Quadricycle. We don’t want to be interfered, just two of us in lovers' car. ¿A Dónde Vamos? 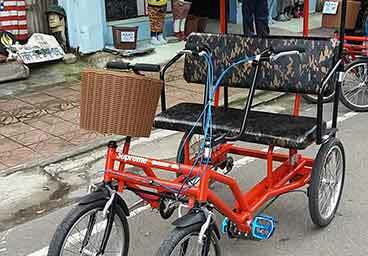 This electric quadricycle is just fit for 2 adults plus 2 kids. The kids are safe behind us. 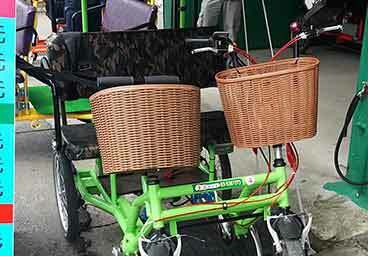 We are close and near in a Family style Surrey Bike. Everyone can stepping on pedal, we move forward together. Just two of us. Oh, How I'D Like To Travel. Mom and Dad, thanks for carrying us together. 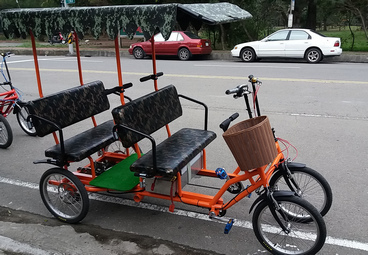 We do love this leisure bicycle. 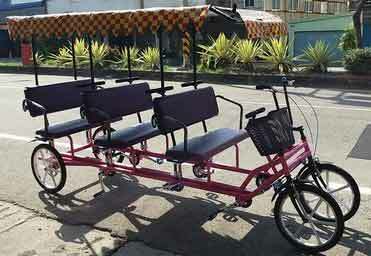 What a joyful matter to have a 6 person sightseeing surrey bicycle! Suggested maximum load: 500kgs. Woo Yeah! 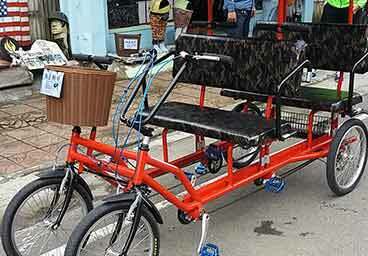 A Six person Electric Surrey Bike, Cheer up! 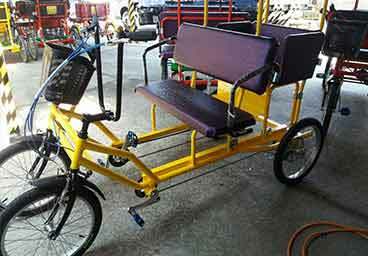 Sifonco Surrey Quadricycle, all surrey bikes (rickshaws and electric quadricycles)are designed for commercial use. ©2019 SIFONCO CORPORATION, all rights reserved.